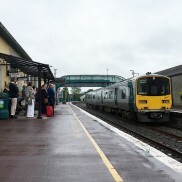 Almost €5 million has been allocated to four projects that will have a significant effect on job creation and social development initiatives in Clare over the coming years, according to Fine Gael TD Joe Carey. 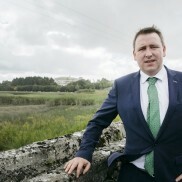 Deputy Carey, who is Chairman of the Oireachtas Committee on Rural and Community Development, said he was delighted that Clare had secured the biggest share of the €29 million that was made available to 21 projects under the Government’s Regional Enterprise Development Fund. €1,759,226 has been allocated for the development of the Clare Maritime Economic Zone at Cahercon on the Shannon Estuary to re-purpose an existing site to provide maritime and cruise liner related training as well as serving as a testing ground for renewable technologies. The biggest single allocation of €2,279,073 will go towards the development of a Digital Collaboration Centre to position the Mid-West region as a hub for disruptive technology innovation. The Burren Lowlands project will receive €182,786 to develop an enterprise support platform to drive business networking, remote working and entrepreneurship development. The project will create a focus point for enterprise activities in a rural setting, aimed at the creation and attraction of alternative employment opportunities. The BNest Social Initiative, which operates in Limerick, Clare, Tipperary, Cork and Kerry, has secured €603,400 to help businesses with significant potential for societal impact to operate as commercial entities. 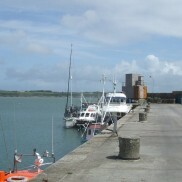 Stating that the development of the Clare Maritime Economic Zone would tap in to the county’s tradition of marine-related enterprise, Deputy Carey said that it would include the development of classrooms and training facilities for the cruise liner industry, along with the development of a field research centre. This would involve LIT and GMIT providing a testing ground for renewable technologies. “Operated by Clare County Council in partnership with Flagship Maritime Consultants and the National Maritime College of Ireland, this is a strategically important project in terms of national economic development. There is potential for high regional impact and the project proposes to leverage an existing asset in an employment blackspot,” Deputy Carey explained. Commenting on the development of the Digital Collaboration Centre, Deputy Carey said that it would cater for collaborative projects to narrow the gap between innovation and adoption for companies operating in Clare, Limerick and Tipperary. This would involve disruptive technology applications in services and business processes, which would support growth and talent attraction. “The Burren Lowlands Project will develop an enterprise platform to create a focus point for the development of activities to create and attract additional jobs to the area. It will provide initiatives for migrants living in the area, network existing businesses, remote working opportunities, entrepreneurship among farming community. “There is currently a lack of enterprise supports and space in the Burren region. This project aims to develop a more robust local enterprise culture in an employment blackspot. There are strong links with local third level institutions, the LEOs, local authority and local businesses,” he added. “The BNest Social Business Campus is a Munster regional initiative that assists businesses seeking social impact to achieve viability and scale through development programmes, critical service supports and cluster development. Support is provided by the Nexus Centre in Limerick and the Ludgate centre in Cork who work with entrepreneurs identified through Leader companies across the Mid-West region,” Deputy Carey concluded.